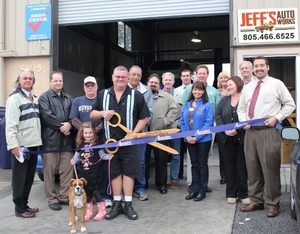 Jeff's Auto Works is a full service auto shop. Jeff Priest is an ASE certified auto technician who has been serving the Central Coast for 28 years. Working on a full range of vehicles complete with Smog Certification. Open Monday thru Friday, 8:30 a.m. to 5:30 p.m. (closed 12:00-1:00 for lunch). With the weather cooling and the rainy season beginning, it's a good time to get your car prepared for winter. Even in temperate climates, like on the central coast, it is important to make sure your vehicle is ready for winter. Following these tips will help keep you and your family safe and your car functioning optimally. The first thing you should do is check your owner's manual; make sure you are up to date on the manufacturer's recommended maintenance schedule. Routine maintenance is a good idea all year long; it can increase the life of your vehicle, improve gas mileage, and catch minor problems before they lead to major repairs. 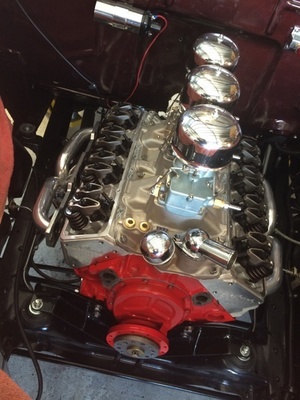 Next, take a look under the hood. Follow the manufactures instructions for how to check your fluid levels, including engine oil, brake fluid, steering fluid, transmission fluid, windshield washer fluid, and antifreeze/coolant (NEVER open your radiator cap when the engine is warm.) Also, inspect hoses and belts for cracks or bulges. Before you close the hood look at your battery, it should be free of corrosion and the cables should be tight. Walk around your car in order to examine your tires, including the spare. They should be inflated to the pressure that the manufacture recommends, some vehicles have a sticker on the driver's side door jamb that states what the tires should be inflated to; the owner's manual also has this information. In addition, it is very important to inspect the tread on your tires. Check several places on each tire as tires can wear unevenly. Tire tread is important not only for avoiding tire blowouts but also because the grooves displace water between the tire and road to help prevent hydroplaning when the road is wet. It is now law in California that motorists must turn on headlights when it's raining. Check all of your exterior lights including headlights, high beams, turn signals, and brake lights. You will need a helper to step on the brake while you check the brake lights. Most vehicles have three brake lights; one on each side and one in the middle. Windshield wiper blades will last six months to a year on average. Test them and replace them if they streak or don't clear your windshield. Most auto parts stores can help you install the new wiper blades you buy from them. While you are in the car check to make sure your heater and defroster are operating correctly. It is a good idea to keep a winter safety kit in your car. Items should include jumper cables, a flashlight with extra batteries, a first aid kit, a blanket, warm clothing, bottled water, non-perishable food, flares, and an ice scraper. If you drive in areas where you may encounter snow don't forget to add tire chains to your kit. These tips are designed for the average car owner to follow. If you are uncomfortable performing any of these tips, or if you find any problems during your inspection, a qualified auto repair shop can help. To find a shop licensed by the Bureau of Automotive Repair you can visit www.autorepair.ca.gov, click on "Verify a License".